Willis Bunkley ’12 had been a Carrier Corporation employee for ten years when the company decided to move its operations out of Syracuse. The Vietnam veteran found himself in a state of uncertainty. “After weighing my options, I wanted to ensure that this never happened again,” he recalls. He knew that furthering his education was a good way to promote future employment security, so he enrolled in college part time at UC. “I was scared and nervous about my chances of being successful, but I found the atmosphere at UC to be inviting and friendly, “ he recalls. Willis had been out of school for decades, and had experienced the trauma of war in the interim. His needs were different from the average undergraduate. 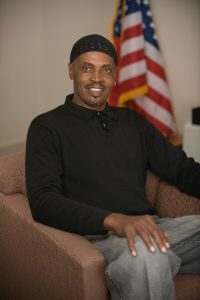 Syracuse University, which has a long history of service to military veterans, was able to accommodate his personal and social needs as well as his academic requirements. SU has been named a Military Friendly School by GI Jobs magazine, and offers a variety of programs and services to help veterans achieve their academic goals.